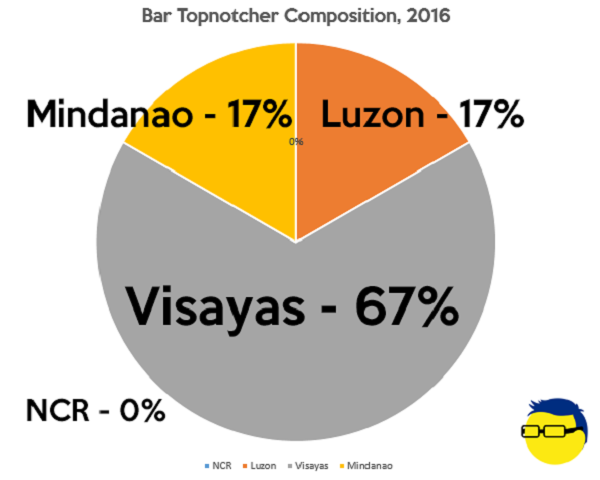 MANILA, Philippines – For the past couple of years, there has been a rise in the number of topnotchers coming from provincial schools, particularly in Visayas and Mindanao. In 2016 to 2017, most of the licensure exams had topnotchers from the province. 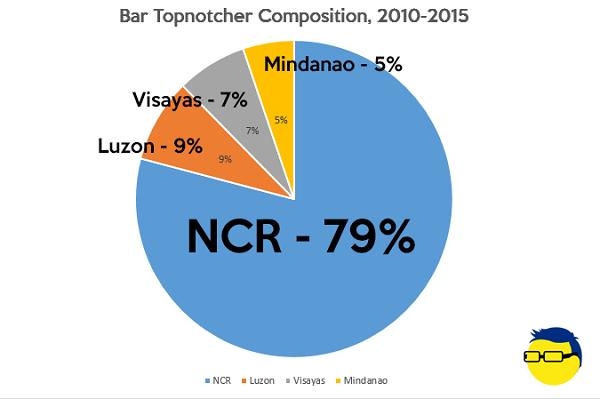 The bar exams were particularly profound, with 10 of the 12 who landed on the Top 10 actually coming from schools in Visayas and Mindanao for the 2016 Bar Exams! Other licensure exams for these years were also dominated by topnotchers from lesser known schools in the provinces. And this made some netizens to wonder, rather insultingly, that there might have been a ‘leakage’ of exam questions in the bar exams and other licensure exams which could have led to provincial schools edging out the ones from the National Capital Region (NCR). Some people have also made this rather political, saying that because the current president is from Davao City, then they believe that people under the administration are trying to influence the exams to make sure that more graduates from provincial schools take the top spots in the licensure exams! Discounting that possibility as mere hearsay and the product of jealous minds, let’s take a look at what could the reasons be for this new trend. A lot of people in NCR probably have no idea that there are actually a number of established schools across the provinces. 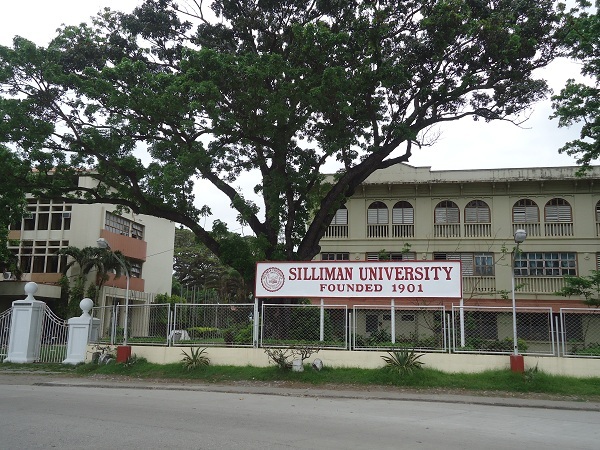 For instance, there’s Silliman University in Dumaguete City founded in 1901, San Carlos University in Cebu City which supposedly traces its roots back to 1595, and Central Mindanao University in Bukidnon founded in 1910. But that’s only to name a few! Aside from these schools getting an upgrade and also achieving their PAASCU accreditations, there are also new schools sprouting across the provinces that boast of modern facilities and fresh new ideas. There’s this wrong notion that teachers in the provinces aren’t as smart and updated as the ones in NCR. As schools upgrade to meet the demands of the PAASCU accreditors as well as their own goals, the teachers also get an upgrade. 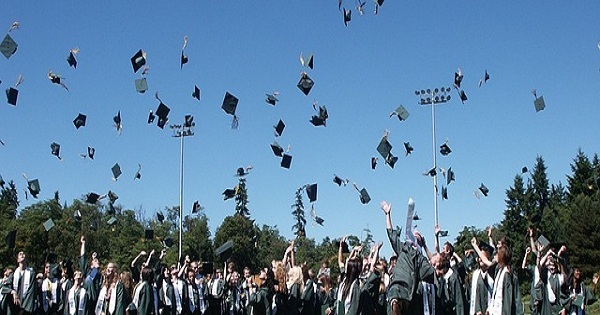 In fact, most teachers teaching in college even in these provincial schools actually hold Masters’ Degrees and PhDs! Better teachers mean better learning for the students, allowing even the provincial students to excel. 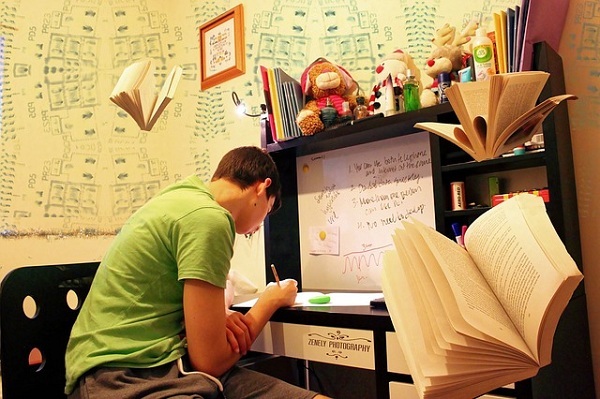 At the end of the day, you still credit students’ achievements to themselves, because no matter how smart and good the teachers might be, it is still up to the students to learn and excel. Perhaps one good reason why provincial schools are edging the NCR schools in licensure exams is that many of these smart provincial students no longer feel the need to go to NCR schools for an education because they have trust in the capabilities of the schools near their homes. Let’s not forget the fact that the high costs of education and living in NCR could really be pushing the smart students to stay in the provinces where both education and cost of living are cheaper. “It’s how barristers answer and how the examiners appreciate the answer. For me, not one school owns the best. All I can say is there are brilliant people outside Metro Manila,” explained 2016 Bar Topnotcher Karen Mae Calam who graduated from the University of San Carlos, Cebu City.